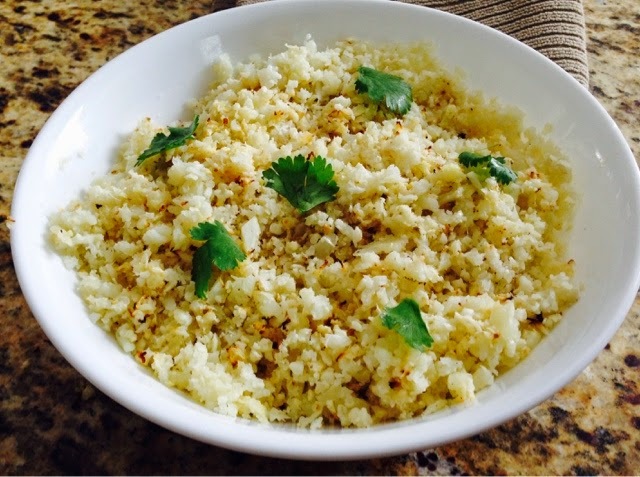 I'm in love with cauliflower rice…. you know what they say about sliced bread…. well this really is the next best thing. I make a big batch at the start of most weeks for a week's supply. Seriously, to me it's so similar to regular rice and low calorie, paleo friendly, gluten free and fibre rich-- and apparently zero weight watcher points too. Here's my very quick and easy recipe-- though in the next couple weeks, I think I'm going to experiment a bit. Salt and pepper to taste- I eyeball it but you can use maybe a teaspoon to begin and add if you wish. + Cook in oven for 15 minutes turning once. 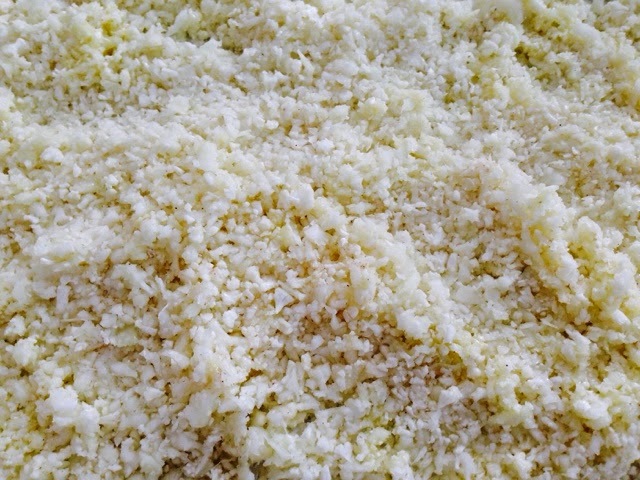 This 'rice' is an amazing base for stir fries, caribbean, indian or thai food with waaayyy less calories and it tastes so similar, it's insane. 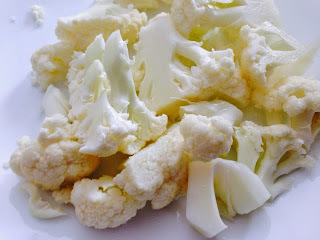 I want to like cauliflower but just haven't developed the taste lol. However, I bet my sis would like this. Once again you have me so very intrigues. I may have to try this. YUM! I bet the hubby would love this! This sounds awesome and right up my alley with the program I'm on. Thanks so much for sharing! I really need to try this and see if Mark notices. He is a rice maniac and it needs to be cut back! I need to try this! Sounds delicious! Thanks for sharing! Looking forward to passing this along to a friend! LOVE cauliflower rice! So yummy! We usually turn it into "fried rice" with soy sauce, eggs, and veggies. Well it looks like I can just use your recipe right here....thanks for sharing and I can't wait to try it!! Playing catch up-- everyday life photos!